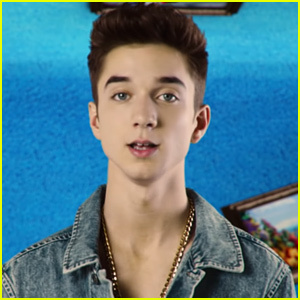 Daniel Seavey Photos, News, and Videos | Just Jared Jr. 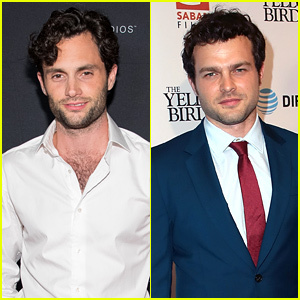 The band shared the video with fans on Saturday (April 20). The song is featured on the soundtrack to UglyDolls, which arrives on April 26. UglyDolls hits theaters on May 3. 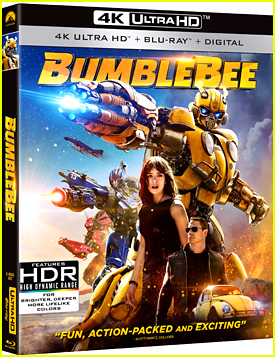 In the colorful video, the guys appear in individual rooms while surrounded by framed clips from the movie. ICYMI, be sure to check out Kelly Clarkson‘s “Broken & Beautiful” from UglyDolls as well. Watch the video for “Don’t Change,” directed by Henry Lipatov and David Loeffler! Why Don’t We‘s brand-new track “Don’t Change” is out now, and you can listen to it right here! 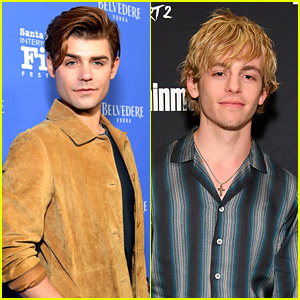 The band dropped the song, which is featured on the soundtrack to UglyDolls, on Friday (April 19). The official music video will premiere on their YouTube channel tomorrow at 10am PT/ 1pm ET. The soundtrack arrives on April 26, and UglyDolls hits theaters on May 3. 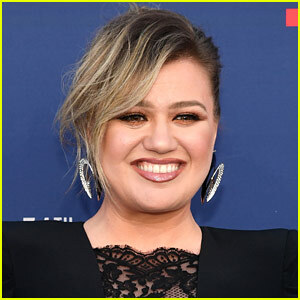 ICYMI, be sure to check out Kelly Clarkson‘s “Broken & Beautiful” from UglyDolls. Listen to “Don’t Change” below! You can also download it on iTunes. Why Don't We Debut 'Cold in LA' Music Video - Watch Now! 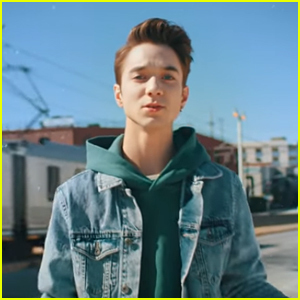 The pop band – Daniel Seavey, Jack Avery, Corbyn Besson, Zach Herron, and Jonah Marais – released the visual on their YouTube channel on Saturday (February 16). Watch the guys visit different locations around Los Angeles below! You can also download “Cold in LA” on iTunes. Be sure to check out Why Don’t We‘s single “Big Plans” as well if you missed it. 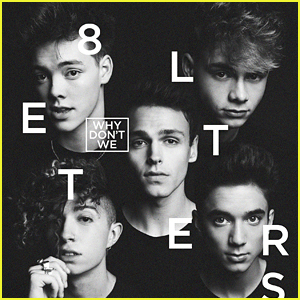 Why Don't We Announce New Album '8 Letters' - Listen To Title Track Now! Why Don’t We just announced their debut album and we are so stoked about it! The guys – Daniel Seavey, Zach Herron, Corbyn Besson, Jonah Marais, and Jack Avery – revealed that the album, called 8 Letters, will drop on Friday, August 31st. The album includes eight tracks, including “8 Letters”, “Talk”, and “Hooked”. You can pre-order Why Don’t We‘s 8 Letters album HERE. Why Don’t We will also be announcing a major North American headline tour soon! Check out the title track below now! 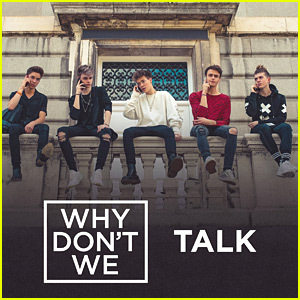 Why Don't We Drop New Song 'Talk' - Listen & Download Here! Why Don’t We are giving us life with their new song, “Talk”. 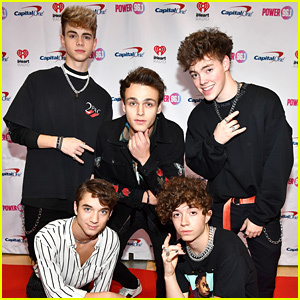 The guys – Daniel Seavey, Zach Herron, Corbyn Besson, Jonah Marais, and Jack Avery – debuted the song this week and were really excited to see what they’re fans thought of it. “TALK is out! I think I’m a little late on this tweet like always hahah but hey check it out, ahhh I’ve been so excited to release this,” Zach wrote on Twitter. And the fans do like it! Check out the track below and pick it up on all these digital retailers! Why Don't We Get Ready For Their European Tour! Why Don’t We are about to hit the road across the pond! 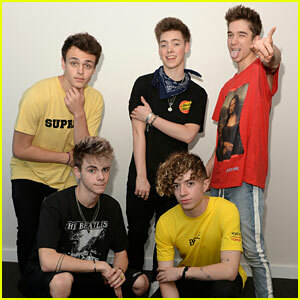 The group – Jonah Marais, Corbyn Besson, Daniel Seavey, Jack Avery, and Zach Herron – are getting pumped for their tour throughout Europe next month. WDW took to their Instagram to share a video as they were loading out from the last North American show of The Invitation Tour. While the guys seemed excited to have wrapped up some major shows, their tour manager quickly reminded them they’ve got to get going to Europe! “We ain’t done. Let’s go Europe,” the band captioned the video.